Halloween season is all around us, and we're ready for frights. Haunt us all with your horror history knowledge by completing our creepy, crawly Halloween crossword puzzle. Click here or the picture below for a blank panel to print out. 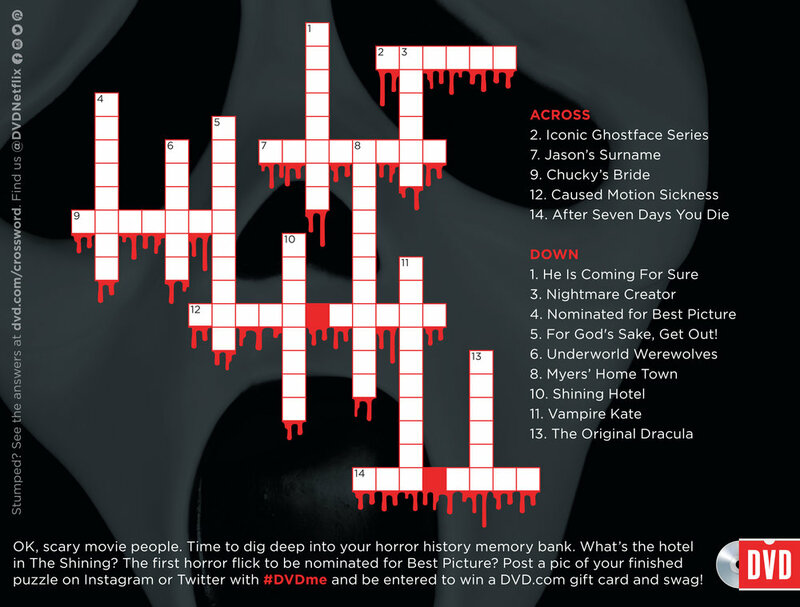 Fill it out, take a picture of your completed crossword, and post it on social media with hashtag #DVDMe. Stumped? See the answer key here.